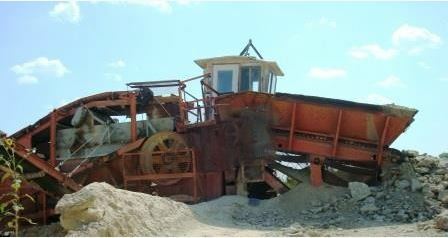 Companies that specialize in mining and aggregate rely on different kinds of crushing equipment to get their jobs done. Crushing is often done in circuits, and as 911 Metallurgist notes, the different types of crushers available can offer different advantages for your projects. By choosing the right crusher system for your operation, you can get the best results at your mining or aggregate production projects. Crushing equipment is generally divided into two main categories: primary crushers and secondary crushers. Primary crushers are typically used to break large boulders and rocks down into smaller rocks, crushed stone and gravel. If this is something that your company excels in within the mining or construction industry, then you will likely need a primary crusher in your arsenal of heavy-duty equipment. Secondary crushers are used to further refine products. This is common if your operation needs to reduce aggregate stone to a certain size for the purchaser or end user. Depending on the type of rock or ore being handled, this may require an open or closed circuit process where the materials that are still too large following a pass through the primary crusher are sorted out and put through secondary crushing – even tertiary crushing in some circumstances – before feeding back to the end of the refinement line. Regardless of which type of crusher circuit design works best for your company, Rackers Equipment carries a wide selection of crushers from trusted names like Universal, Trio Telex, Pioneer and more. We would be more than happy to sit down with you and talk to you about your crushing needs and help you find the one machinery for your operations. Give us a call at 573-635-8700 or visit our lot to see the crushers we have in stock today.